Trehill Farm, Marloes is a coastal hay meadow which has developed a rich flora over the twenty-five years since it was taken out of arable production. 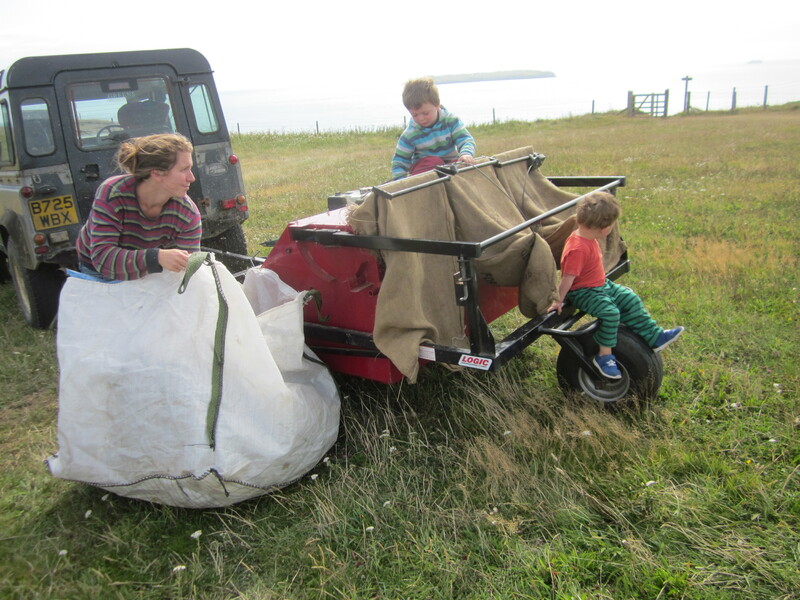 We harvest a limited quantity from the seaward edge here, where the sward has a mixture of clovers, trefoils, vetches and coastal herbs such as wild carrot and thrift. Suitable for meadow creation projects in similarly exposed coastal locations. The species list below is for the whole field; those highlighted in bold are generally present in the mix.